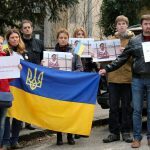 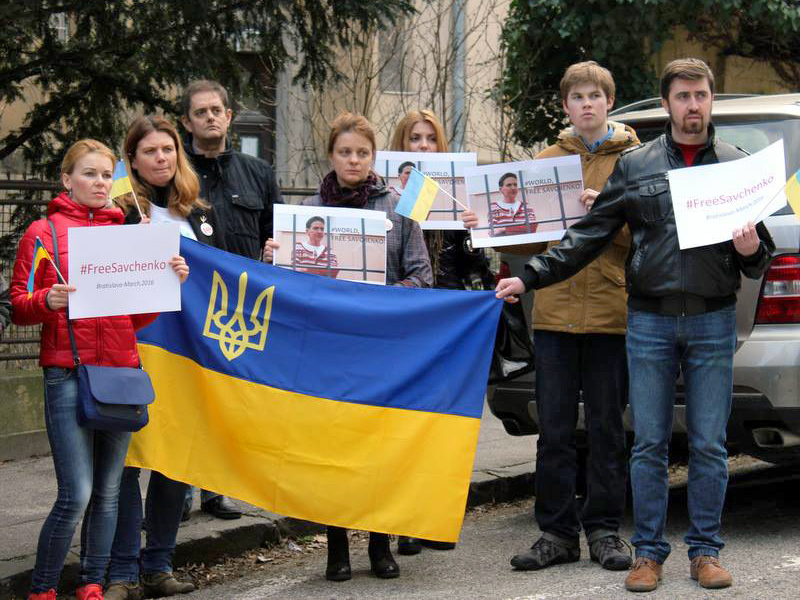 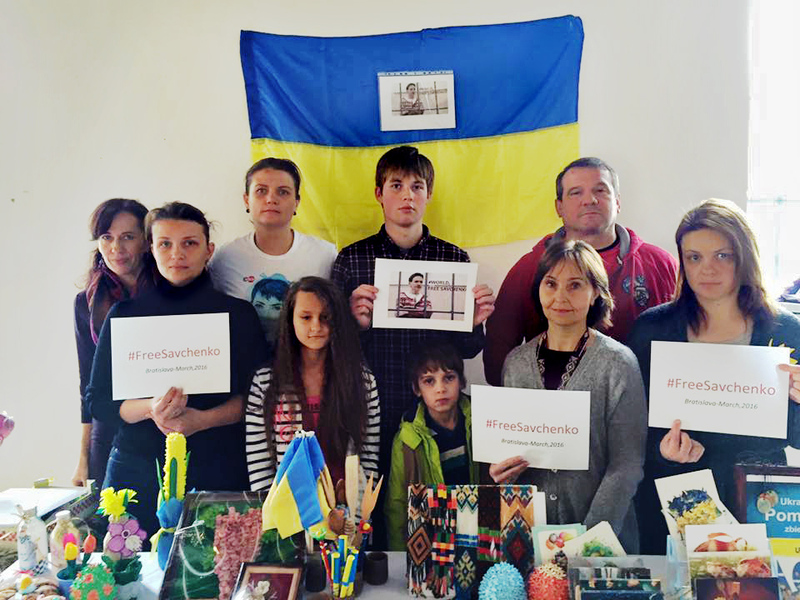 “Ukraine-Slovakia SOS” / SME SPOLU with other Ukrainian diasporas around the world took part in the global action in support of the Ukrainian pilot Savchenko, who together with other Ukrainian political prisoners is illegally detained in the Russian Federation. 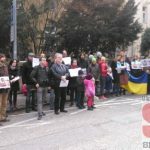 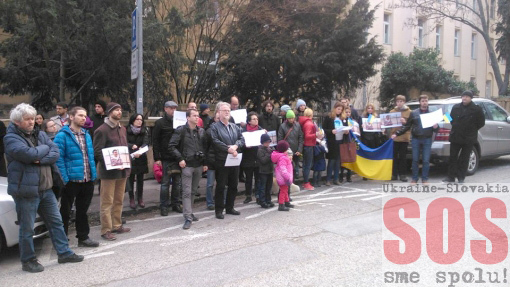 March 9th2016, during the commemoration of birth of the Ukrainian poet T. G. Shevchenko near his monument in Bratislava “Ukraine-Slovakia SOS” / SME SPOLU held a demonstration for support of Savchenko. 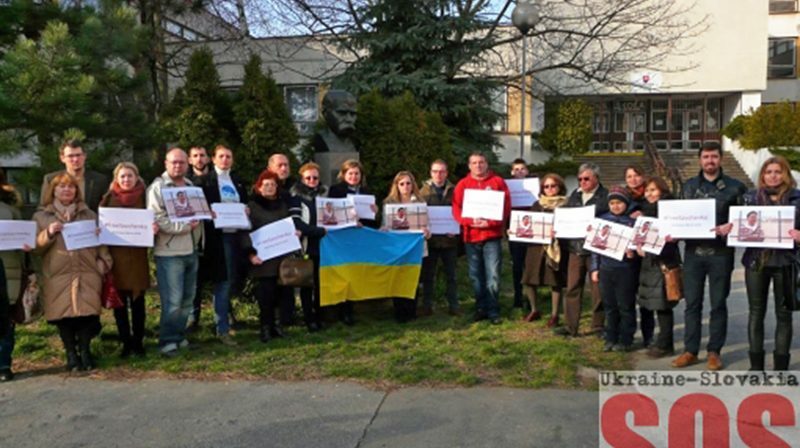 March 12th 2016 “Ukraine-Slovakia SOS” / SME SPOLU – as the only one of all Ukrainian organizations in Slovakia – supported the protest action near the Russian Embassy in the Slovak Republic. 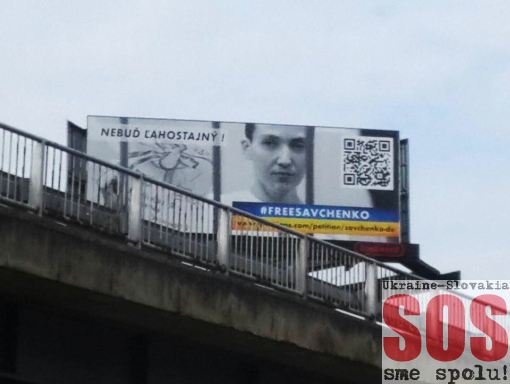 During the demonstrations, “Ukraine-Slovakia SOS” / SME SPOLU initiated a collection of signatures for an appeal to the Slovak President Andrej Kiska to take all possible measures to influence the Government of the Russian Federation regarding dismissal and return Savchenko to Ukraine. 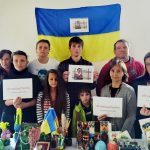 Less than a week after our call, the petition was signed by 273 people among whom are representatives of international and local NGOs, scientists, politicians, teachers, doctors, businessmen, lawyers and other representatives of the Ukrainian and other communities in Slovakia. 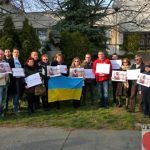 The call was forwarded to the President of the Slovak Republic Andrej Kiska by the representatives of “Ukraine-Slovakia SOS” / SME SPOLU. 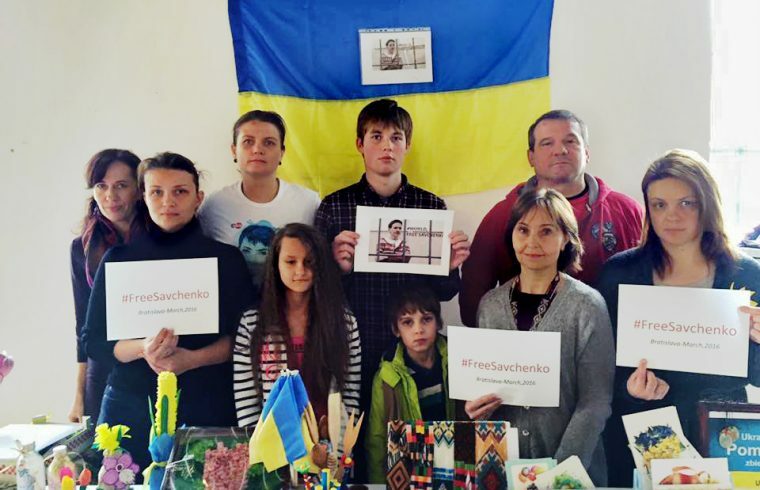 After acceptance of the call the President made an official statement to support Savchenko. 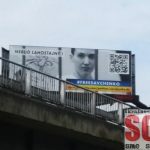 “Ukraine-Slovakia SOS» / SME SPOLU obtained support for their future information activities from the representatives of Ukrainian and Slovak entrepreneurs who initiated a campaign in support to Savchenko by placing information posters on billboards, city lights in different city parts ​​as well as on Bratislava public transport.